There is a lot of uncertainty about what the energy sector will look like in the near future. It will indubitably be very different from the current paradigm that is already very different from what we experienced in the recent past. The drivers for this transition are structural and deep. Firstly, the close interweaving between energy and human development is so clear that there is no possibility to combat the global social and economic imbalances and the eradicate poverty without ensuring the access to affordable, reliable, sustainable and modern energy for all (UN Sustainable Development Goal Number Seven). This means ensuring access to modern power for 1 billion people, predominantly rural dwellers, half of whom live in sub-Saharan Africa, that is still living without electricity. Moreover, approximately 3 billion people, largely located in Asia and sub-Saharan Africa, are still cooking without clean fuel and efficient technology. If these numbers look impressive, we have to further take into account that the world population is expected to grow by 2.2 billion units in the next 35 years, mostly in Africa and Asia. The second main driver for the energy revolution is the environmental sustainability. Human activities are putting at risk the resilience of ecosystems and depleting basic ecosystem services. Above all, human GHG emissions are almost unanimously recognized as interfering with climatic patterns. Energy, as a whole, is by far the main emitting sector. The two aforementioned global trends can converge only if energy production as well as consumption patterns are radically reshaped. Renewable energy generation, distributed generation, energy efficiency and storage technologies are emerging as large–scale market viable applications and represent the first blocks in the energy revolution. As well as this global trend, the European Union has decided to embark on an integration process in the energy markets among Member States and even beyond its southern and eastern borders. In order to reach this target, energy market structures have undergone a deep transformation, passing from vertically integrated state–owned monopolies to liberalized markets. This has had a remarkable influence on the relations between market actors, institutions and final consumers. The European Commission, aware of the importance of network development for new service deployment (e.g. IoT) and the future of the European Union, has proposed policy and regulatory measures to encourage network investments, setting new connectivity targets for network access and adapting the current regulatory regime to the competitive evolution of broadband markets. Considering that fixed and mobile ultra–broadband network deployment requires tremendous investments. It is very important, in general, to create a regulatory investment that is environmentally friendly (also through a stable and predictable telecom regulatory) and to guarantee the respect for net-neutrality to encourage the development of new business models and new services. With regard to the regulatory framework, instead, it would be opportune to reduce and simplify rules, ensuring an EU harmonisation and, in general, to respect the non–discrimination principles. Then, considering the importance of OTT and the (r)evolution of competitive dynamics, for healthy telecommunication markets, it is crucial to analyse the role of platforms, to promote actions aimed at shifting from ex ante to common ex post rules and ensure a level playing field where the same services are subjected to the same rules. A specific effort should be put into identifying possible synergies between energy and ICT networks. The 5G will be a key enabler for IoT and the new digital service deployment. 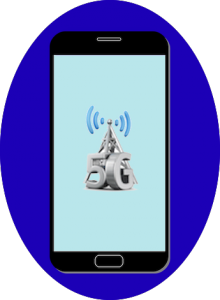 Considering that Europe has a history of leading in the development of mobile technology in the 2nd and 3rd generation, it is very important to take the lead also in 5G development. To achieve this goal, complying with the Commission’s initiatives and planning, it is vital to set up investments, simplify and remove barriers to small cell deployment, plan a roadmap and a shared timing in Europe, ensure a harmonised and efficient spectrum management, certify the availability of adequate spectrum bands to the 5G deployment. It is also essential a strong cooperation of all stakeholders. The implementation of sustainable 5G digital energy business models could help in the development of this key communication technology. 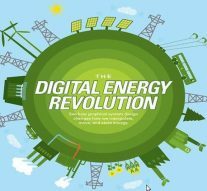 The deep changes in the energy sector are intersecting yet another radical change in modern society and economy – the digital revolution. Powered by the spectacular advances in the semiconductor industry, ICT applications are spreading worldwide across all sectors and can be considered as one of the key drivers for innovation, competitiveness and growth. Improvements in communication infrastructures and Internet protocols have overcome many natural and cultural barriers, enabling impressive data flows among people, firms and institutions. At the same time, computational power has boomed and allowed for advanced data management and information mining. Artificial intelligence, machine–to–machine communication and machine learning are becoming a reality. ICT is already influencing the evolution of the power sector and more and more interaction is expected in the near future. Power grids (both transmission and distribution) are already highly automated. Advanced monitoring and maintenance are spreading among production facilities and grid nodes. New media are changing the relationships between suppliers and consumers. Policy and regulation at EU and Member State level have to pave the way for the digital energy convergence. The power sector remains one of the most attractive sectors for investments in infrastructure also in the medium/long term forecasts. Digital energy investments are becoming more and more important. In 2016, the global grid investments reached 280 billion US$, 11% of which have been invested in digital infrastructures. This represents a marked increase (+50%) compared to 2015. On top of this 30 billion US$, we must add around 18 billion US$ in smart building, smart industry applications and energy software investments. Digital energy prompts potential spillovers outside the energy sector. The digital energy value chain involves traditional energy firms (TSOs, DSOs, power producers, retailers, etc. ), traditional ICT enterprises (hardware, software and system integration) and, potentially, innovative SMEs, start-ups and scale-ups in many different sectors (data mining, behavioural analysis, advanced manufacturing, just to quote a few). The creation of an EU wide digital energy single market could create a robust demand for advanced digital energy solutions, could foster strategic cross-sector fertilisation and allow for a sustainable growth of a competitive “Made in EU” digital product/services offer. The sector should also aim at penetrating non-EU markets to seize worldwide digital energy investment opportunities. Indeed, an advanced EU framework for standardisation and quality requirements are key elements to create a sustainable digital energy value chain. Europe can play a central role also in stimulating and supporting firms in innovation and workforce qualification by specific competence and skill development programs. Others crucial issues will be to make a financial ecosystem flourish, to finance promising start–ups and scale–ups, and to allow a rapid commercial development of technologies applied to the energy sector. The digital revolution is fast and continuous. What the energy will look like is a fascinating bet, which European politics, national interests and private investments will all affect together. Next Article » Is the Digital Single Market a New Economic Chance for the EU?